The Belt and Road Initiative (BRI) is best known for its implications for large infrastructure projects. However, its geopolitical and geo-economic importance reaches far beyond this to include questions of foreign relations, wider economic developmental trajectories and issues of security. One area of particular significance that has received far less attention than aspects of infrastructure is the financial relations that underpin the BRI. Indeed, the cost of the BRI and the affordability (or not) of this for China have become keenly debated as questions continue to surround China’s own domestic growth rates. The total planned cost for the BRI is currently estimated to be more than US$1trillion, although no accurate figures exist in terms of how much has been spent to date, meaning that putting a figure on the total budget is virtually impossible. Given this, more interesting – and, I would argue, equally significant – questions emerge if, rather than focusing on the total financial cost of the BRI, we focus instead on the nature of finance that is underpinning the BRI and the implications of this for the geopolitics and geo-economics of global finance more widely. Two dimensions stand out as being particularly important in this regard. First, a focus on the financing of the BRI reveals that it is as much a political and diplomatic project as it is an economic one. In an effort to understand the BRI, some commentators have drawn parallels to previous rounds of large state-led global financing projects, most notably the Marshall Plan implemented by the USA in the aftermath of World War II. It is easy to see intuitively why such parallels have been drawn. Both the Marshall Plan and the BRI involve countries with hegemonic ambitions using financial aid to support key allies in the hope that such support will be reciprocated. However, a focus on finance reveals a significant difference between the two projects. Whilst the Marshall Plan can be classified as aid, funding to countries along the BRI provided by China is being provided in the form of debt finance. Consequently, such countries are potentially being tied into far longer-term relations with China. Moreover, the implications of such debts not being repaid are currently largely unknown, both for the countries along the route of the BRI and for China in terms of the financial risks it is exposing itself to. Second, much about the BRI associates it with the particular geographical imagination of a road metaphor. The road is typically – and at least implicitly – assumed to be linear, with a focus on its origins in China and the implications of projects ‘arriving’, so to speak, along its route. However, roads can also be constructed with a far more relational geographical imagination, and in the case of financing the BRI, such an imagination is essential. China is not mobilising the financing of the BRI in isolation. Rather, it is undertaking a series of policy experiments and developments with a range of different partners that it views as being able to meet its policy ambitions for the project. This multi-stranded approach to policy experimentation reflects domestic economic policy within China but also has important ramifications for the global implications of the BRI. Again, an examination of its financing is instructive in beginning to unpack these implications. Take the case of Chinese currency internationalisation through the renminbi (RMB), for example. Prior to the early 2000s, the RMB had virtually no international influence. 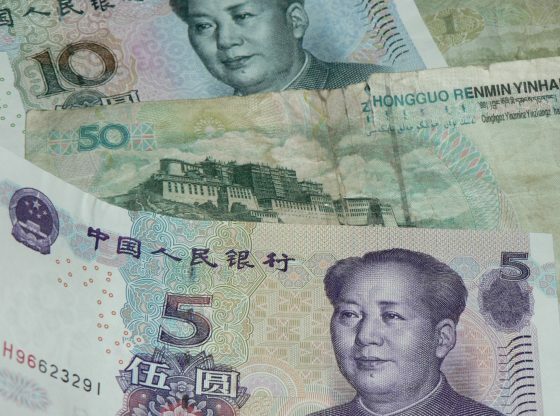 It has now risen to be one of the most important currencies used in international trade and a network of offshore (meaning beyond mainland China) RMB centres has been developed in order to facilitate this. Some of these can be found in predictable places, notably Hong Kong. However, they extend right along the BRI all the way to London, which has worked hard at the local and national political level to position itself as the first and leading Western offshore RMB centre. If we want to understand the development of London as an offshore RMB centre, then we need to take into account local conditions within London as well as the global policy ambitions of China. Here we discover that close links between Chinese elites and their English counterparts (often fostered through a shared education), a keen focus by the UK government on China as an economic partner (notably under the administration of David Cameron and George Osborne) and the strength of London as an international financial centre all have their part to play. However, whilst London seeks to cement these ties as it faces growing uncertainty in the wake of the UK’s decision to leave the EU, China is increasingly looking to develop links to other Western partners, particularly in the EU. Taken together, this look at finance and the BRI reminds us that you can travel two ways on any road – in other words, we need to pay attention both to the origins and to local conditions along the BRI. It also points to the fact that the BRI is not a fixed entity that is being imposed in a singular fashion. Rather, it is through its production in particular places that it is being developed, reproduced and altered. Understanding these dynamics will be critical to understanding the wider geographical imaginations of the BRI as it shapes the contours of contemporary economic and political globalisation with Chinese characteristics.